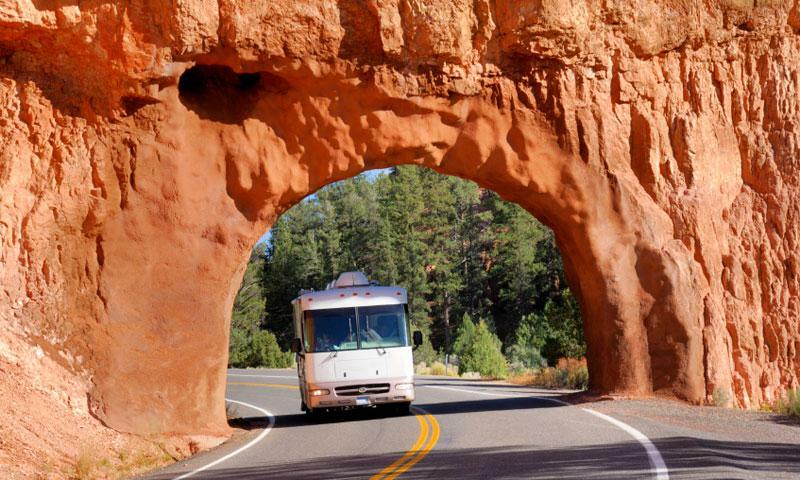 Highway 12 Utah is the 122 mile scenic road which links many highlights in southern Utah including Red Canyon, Bryce Canyon, Boulder Mountain, Grand Staircase-Escalante National Monument and Capitol Reef National Park. Highway 12 in Utah is said to be one of the most scenic routes in the US. It starts from the junction with Hwy 89 just south of Panguitch and travels east and north to end 122 miles later at Torrey with the junction at Hwy 24. It passes through the towns of Tropic and Cannonville and gives access to Kodachrome Basin State Park and the Petrified Forest State Park. It links some of the best known highlights in south Utah including Bryce Canyon, Grand Staircase-Escalante National Monument and Capitol Reef National Park. Bryce Canyon National Park is 12 miles east of Hwy 89 and just off Hwy 12. Join it just south of Panguitch off Hwy 89 near Red Canyon and head east 122 miles to Torrey near the Capitol Reef National Park. The total distance of Highway 12 Utah is 122 miles and the journey takes 3 hours. Allow longer if stops are made at the many viewpoints and attractions along the way.